M.S. 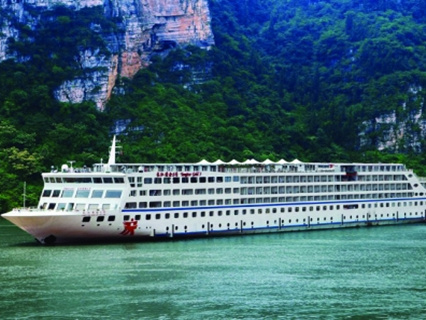 Yangtze River No.1 is a newest luxurious cruiser among all inland river cruise lines in the world. 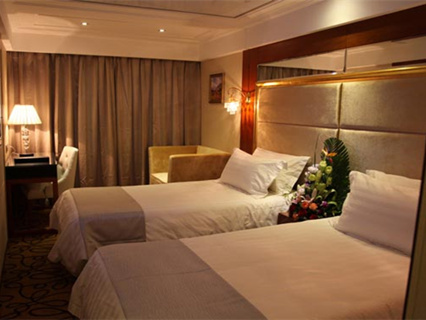 The ship has a presidential suite, administrative cabins, family cabins and standard cabins. All the cabins on board are equipped with separate sight-seeing balcony. 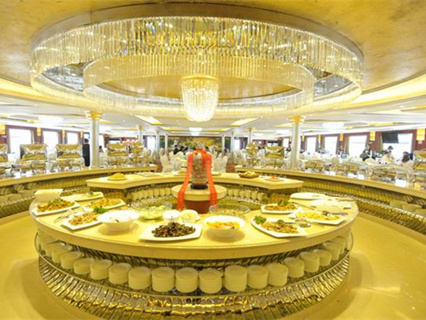 There is a Chinese dinning hall can capable of holding 400 diners and also A La Carte dinner hall on the ship. M.S. Yangtze 2 is the first and the only ship equipped with an indoor thermostatic and constant-humidity swimming pool covering an area of 110 m2. In the afternoon, shore excursion to Three Gorges Dam, one of the most controversial international river issues.The dam crosses the Yangtze River,which is the third largest river in the world,at a point where the river is a mile wide. Three Gorges Dam lies in the south bank, a town named San Dou Ping. This town is a core area for visitors ‘ observing the Three Gorge Dams. You can get a perspective of the whole Three Gorges from here. 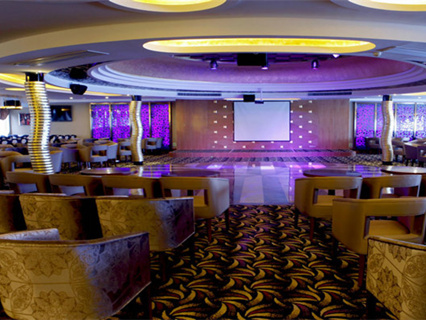 In the evening, there will be Captain’s welcome Banquet and Dinner. Don’t miss it ! Around 07:00, breakfast time. About 8:00 o’clock, transfer to another boat for a relaxing excursion through the attractive gorges of Shennong Stream. Stay here for around 3 hours. After having breakfast, the cruiser will arrive at Chaotianmen Port in Chongqing. Disembark and that’s the end of the tour. Enquiry : Inquiry about ,Yangtze 1. Standard Room, Start from ,Yichang. 29 May 2018,Do you provide drinking water free of charge in the cruise? thanks. Enquiry : Inquiry about ,Yangtze no. 1,The cheapest cabin, preferably with a balcony, Start from ,Chongqing. I will arive at 14:23 at Chongqing,How much will it be for one person? Do you have student discount? Reply : Thanks for your inquiry, Can you please tell me your nationality first? Looking forward to hearing from you! Reply : Hello, For Yangtze River Cruise Tour, we just have tour from Chongqing to Yichang, or Changing to Shanghai, no to Hong Kong or Japan.